** For a limited time only & can be withdrawn at anytime ** >>> SO HURRY !! 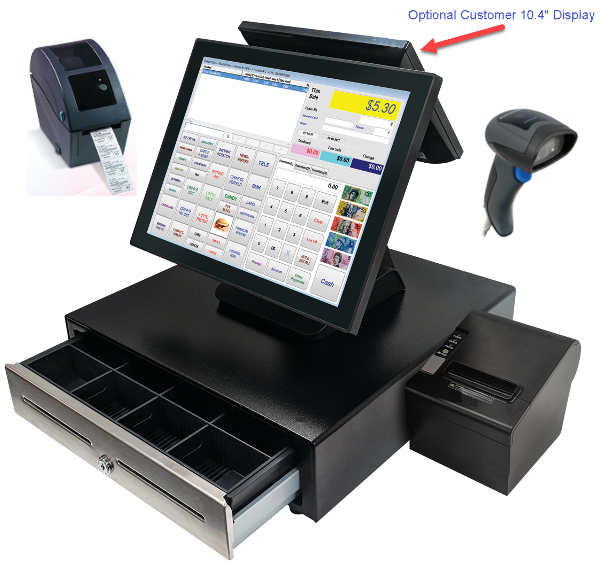 The Retail POS System - "Package F" offers maximum capacity and flexibility. The user friendly POS touch screen can have an almost unlimited number of items preset for 'one touch registration'. A physical keyboard is not required as any manually entered prices or product searches can be done via the on-screen keyboard. 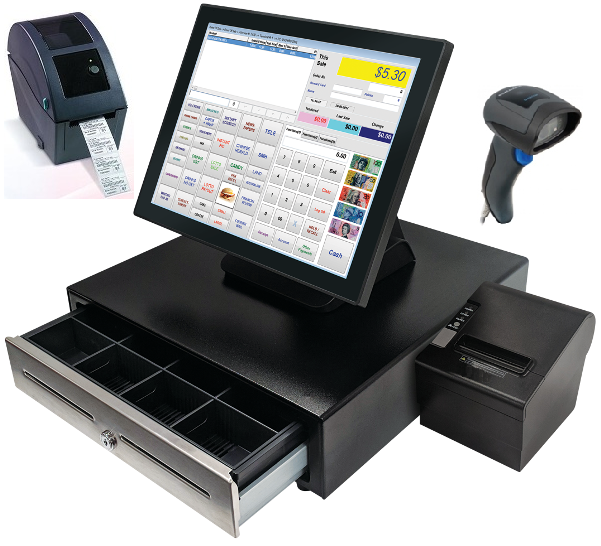 Over and above a standard Cash Register, POS System - Package 'E' offers full stock control, customer accounts with monthly statements, supplier invoice entry, Customer Loyalty, Lay-By, sales reporting over any given date range, an optional full 'Customer Screen Display' for detailing a customer's purchase along with visual in-store promotional advertisements and more. Optional POS hardware such as EFTPOS, Scales, Scanners, Other POS Cash Registers and Computers, Customer Pole or Screen Displays, order printers and more can be added. 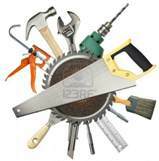 Ideal for a very wide variety of business types: Gift, Homewares, Fashion, Hardware, Variety and Discount Stores. Almost any retail store environment can be catered for. The feature list of the Retail POS System - "Package F" is extensive. Some of the main features are listed below. Gift Voucher System fully integrated into the POS. Initial Programming and setup is included in the price (Receipt Header and System Options). After your purchase, an Access POS representative will contact you to discuss the various programming options prior to freighting the Retail POS System - "Package F". The pricing below includes the first 12 months Software License & Support plus installation services and training. Training time is not limited as it is covered under the Software License & Support agreement. PROSPA PAY Buy over 13 weekly payments of $ 243.85 (ex. GST). No Interest ever and No Fees if you pay on time. Contact Prospa Pay online at PROSPA PAY or call 1300 706 983 for a simple over the phone application. No obligation. SILVER CHEF Rent-Try-Buy. Rent from $ 40.24 (ex. GST) per week for a minimum of 12 months before you decide to either Buy (with 75% of prepaid rental being deducted from the original cash price), Upgrade or Return at no further obligation. Apply online at SILVER CHEF or call 1800 337 153 for a simple over the phone application. No obligation. Payment Plan amounts above do not include any chargeable options. Please contact Access POS for Payment Plan quotes inclusive of chargeable options and for bulk purchases. Barcode Scanner - Laser Gun "Handheld" or "Hands-Free"
Barcode Scanner - Counter Laser "Hands-Free"
Synopsis: Access POS is a leading supplier of POS Systems, POS Software & Cash Registers to Australian Schools. 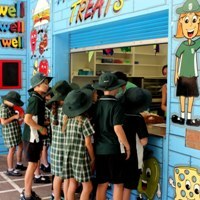 We have specific systems available for School Canteens, School Uniform Shops, TAFE Colleges and Universities. Expert advice from 30 years experience. Fast & reliable local support. 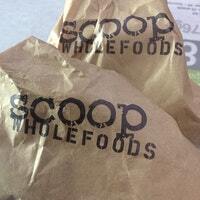 Synopsis: Scoop Wholefoods has been a long time customer of Access POS. Scoop Wholefoods is a thriving natural produce store with outlets at Mona Vale, Mosman, Bondi Beach, Newcastle and a recent opening in Orange, NSW. Scoop is characterised by their brilliant shop fitouts. 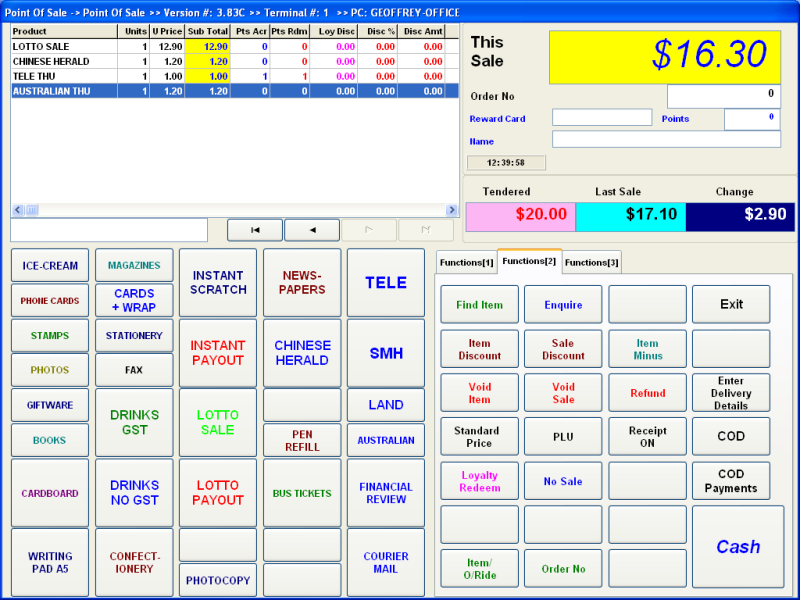 Synopsis: Access POS is a leading supplier of Swimming Pool & Spa Shop POS Systems and Software in Australia. The POS terminals are very fast and easy to use whilst having specialised features for the Swimming Pool & Spa industry. 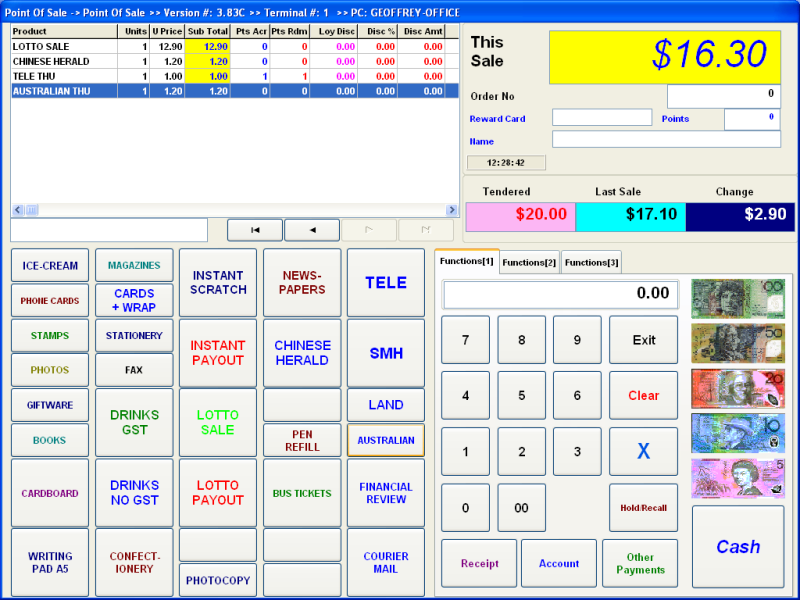 Synopsis: Access POS is a leading supplier of Discount Variety Store POS Software and Systems in Australia. The POS terminals are very fast and easy to use. Synopsis: Access POS is a leading supplier of Gift & Homewares Store POS Software and Systems in Australia. The POS terminals are very fast and easy to use. Synopsis: Access POS is a leading supplier of Toy & Games Store POS Software and Systems in Australia. The POS terminals are very fast and easy to use. Synopsis: Access POS has recently installed POS Systems in both Lae and Popondetta, Papua New Guinea. This follows on from the successful installations in Goroka. Synopsis: Access POS is very pleased to announce that it has received further orders for its POS Cash Register System from the Foodmart Group in Papua New Guinea. 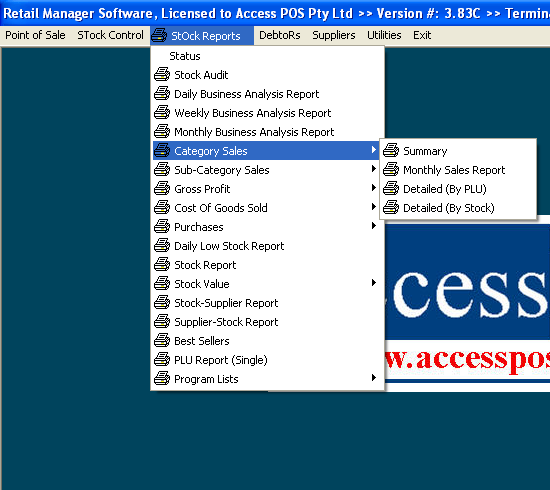 Access POS has been contracted to install its Grocery Store / Supermarket POS Software into their warehouse in Goroka as well as their second and by far largest supermarket also in Goroka, Papua New Guinea. Synopsis: Access POS has installed its Retail POS System into Roncut Hardware and Building Materials Supplies Store located in Liverpool, Sydney. The Access POS Retail POS Software offers specialised features that are suitable for small to medium sized hardware and building supplies stores. Synopsis: Access POS has successfully completed installing our Gift Shop POS System into the Giftology Group stores, Giftology House and Kenny's Cardiology. Synopsis: Access POS has been selected to supply the latest Convenience Store POS System for a new store opening in Goroka, Papua New Guinea. Synopsis: Access POS welcomes one of it's newest customers, Inner City Marine, located in the south-western Sydney suburb of Greenacre. Synopsis: Access POS offers a wide variety of POS Hardware options for Convenience Stores and Supermarkets that complement their acclaimed POS Software. Synopsis: Cocco Rocco Delicatessen and Convenience Store opens their new store located at Forestville (Sydney) with the Access POS Retail Manager POS System. Label Printing Scales have also been supplied for back room packing. Synopsis: Access POS has recently installed POS Systems into several convenience stores located in far North Australia, namely Borroloola NT and the Lockhart River QLD. Synopsis: The Access POS Retail Multi Store POS Software System was successfully installed at the Lifeline South Coast NSW head office and their four stores located around the Wollongong area last week. This product comes with a 12 month warranty which covers both parts and labour. Any warranty enquiries can be directed to Access POS Pty Ltd. We do not refer you to third parties. By completing the details below, you can send a friend or business colleague an email that will detail a brief description of this product with a link to the product details page. Note: The details you enter within this form are not recorded or stored in any way by Access POS Pty Ltd. ie. The Name you enter is only used to notify your friend or business colleague of who sent the product referral. Email addresses are not recorded or stored. Invoice with goods on Selected Items. Available to Approved Customers. Purchase Order - Only available to Government, Schools, Universities, Large Corporations etc. Thanks for the great service. Better than what we have here on the coast.